Description: Majority of music composed by Daisuke Ishiwatari, with additional composition by Koichi Seiyama, Masaomi Kikuchi, Yoshino Kusano, and Tetsuya Ohuchi. Soundtrack published by TEAM Entertainment and distributed by Sony Music Distribution. ~The Original SoundTrack of DreamCast!! 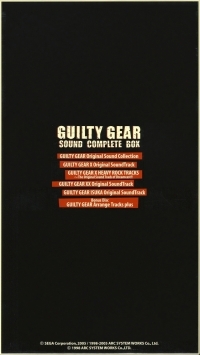 This is a list of VGCollect users who have Guilty Gear Sound Complete Box in their Collection. This is a list of VGCollect users who have Guilty Gear Sound Complete Box in their Sell List. 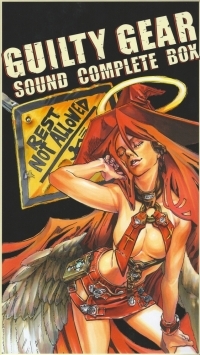 This is a list of VGCollect users who have Guilty Gear Sound Complete Box in their Wish List.